June, 1984 - Drafted by Pittsburgh in 1984 Entry Draft with the #1 pick overall. 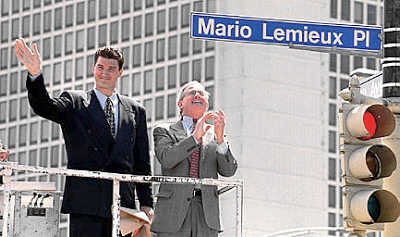 Sept. 3, 1999 - Completed purchase and became new owner of the Pittsburgh Penguins. Won Olympic Gold Medal as part of Team Canada's Men's Ice Hockey team at the 2002 Winter Olympics in Salt Lake City.